as well as modern Qawwali singing. He got his professional training from Famous Qawwal Ustad Ghulam Sabir Nizami, Also, his ancestors are affiliated and attached with the Dargahs of Hazrat Nizamuddin Aulia and Hazrat Amir Khusro in Delhi. 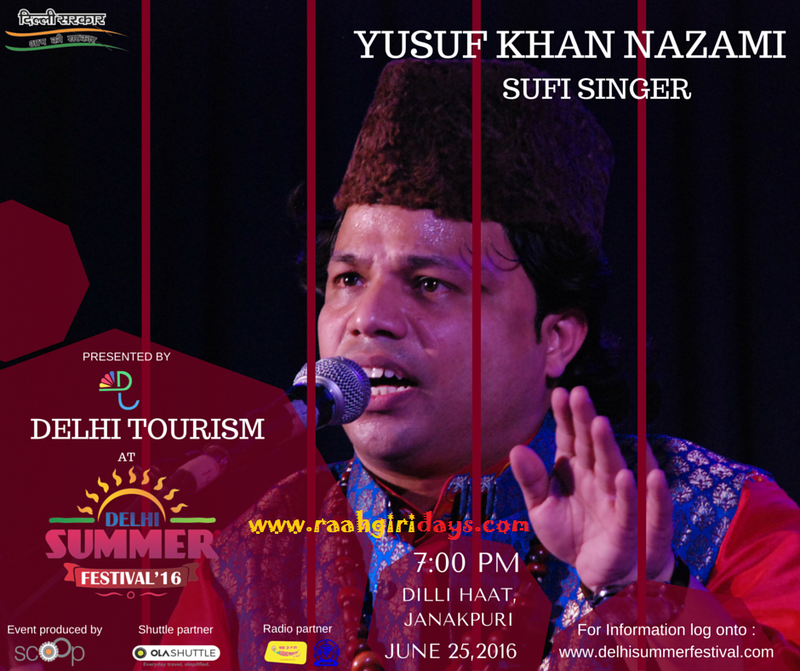 He will be on performing with the fellow musicians on 25th June at Delhi Summer Festival 2016.